Wow. 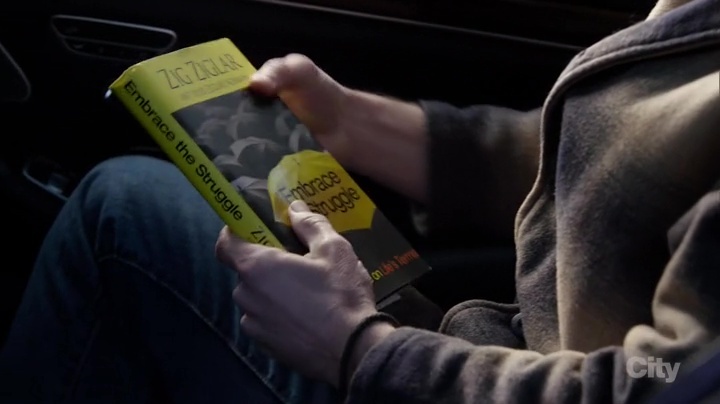 Last week, The Blacklist mentioned Carl Jung, Piaget, and Dostoyevsky. It was like the writers were giving a nod to Jordan Peterson. Fagen [an arsonist trying to change his ways]: I was staring at those trees, thinking how I wanted to burn them. Reddington: I realize that I’ve stoked the flame, so to speak, which is why I brought you this. Reddington: Zig Ziglar at his most persuasive. Are you familiar with his work? Fagen: He’s a motivational speaker. Reddington: Who motivated me to quit smoking and shoot from the neck down. This entry was posted in Human Variables, TV. Bookmark the permalink. Someone needs to do a project corraling all these guys together. Norman Vincent Peale, Napoleon Hill, Rhonda Byrne, Zig Ziglar, even (to some extent) Wayne Dyer and a ton of other Hay House authors. There are those who actually believe what they’re saying, and those who are snake-oil pitchmen, but regardless of the level of hypocrisy, they can be quite harmful to the susceptible. The New Thought movement is such an American phenomenon, isn’t it? It all stems from New Thought. No one has really said much that’s new since then. Why I love Google Books. Go straight to the source of it all. Piaget and Raymond Reddington. Wow. listening to Peterson: archetype, personality, developmental psychology, how the child ‘boots’ himself, ‘you die into your personality’ and I keep thinking: did The Blacklist producers apply some of Peterson to the structure and texture of their story? Each time I watch the Blacklist I am more and more certain there is something deeply archetypal, intuitive, fundamental about it. I mean, it’s just a tv show, right? but since most literature is now in visual form, ie. tv or film, I’m inclined to analyze these rather than novels anymore. It’s clear not only with all the references to the arts, history, literature, philosophy, that there’s almost an origin story here. I’ve been checking for references to classical mythology and there is some, but it’s more like a ‘yes, and…’. With the hinting of Reddington not being who he claims to be, it’ll be interesting to see where that comes from.